We’ve been eating really well since my husband, Marc, and I arrived in Alaska last June. Marc and I have enjoyed trying out new (to us) restaurants as well as our old favorites. Our kitchen has been under renovation since we arrived, so we’ve had good reason to eat out a lot. However, recently, Marc asked me, after a rare home-cooked dinner of halibut chowder, if I wanted one of our friend, Becky’s, “birthday brownies” (she baked and mailed my husband his favorite brownies for his January birthday). When I answered, “No, I think I will skip brownies tonight. My pants are getting too tight.” He quickly quipped, “Pants are overrated. Eat the brownie and enjoy it!” Wow! What a revelation for me: pants are overrated! ﻿Not long after the brownie incident, we woke up on a cold Saturday morning, he rolled over and looked at me and said, “Is it a Chugiak Cafe day?” Why, yes, if pants are overrated, then by all means, let’s take a drive out of the city to one of our new favorite breakfast spots, Chugiak Cafe: a small, weekend-only, fresh-made, locally-owned, breakfast, brunch, and coffee shop. This particular Saturday, we had the pleasure of visiting with cafe owner, Trig Bjorklund, retired military and aviation aficionado. The cafe is known for its biscuits and sausage gravy, small batch coffee, roasted twice a week in an authentic 1910 coffee roaster purchased from the grandson of the first Hawaiian coffee roaster, and his authentic collection of antiques from all around the Lower 48. It’s also the best Saturday chore procrastination spot! It’s easy to sit around sipping cup after cup of hot coffee while visiting with friends and forget we should be organizing the basement or putting books back on shelves that keep falling off during the massive earthquakes we’ve been experiencing around here. Last week I ordered the Eggs Chugiak, Trig’s version of eggs benedict - two eggs atop open-faced English muffins with smoked ham, and smothered in Trig’s signature sausage gravy. This week I ordered the CCM (I’m guessing that’s short for Chugiak Cafe Muffin), an English muffin with bacon, egg, and ample amounts of smoked Gouda cheese, and of course, I couldn’t resist a bite or two of Marc’s house-made biscuits and sausage gravy. Everything here is delicious! The signature biscuits and gravy. “It’s taken a while to develop our cinnamon roll recipe, but I think we finally got it down. The icing is made with cream cheese and just a little powdered sugar, but not overwhelming,” Trig explains. The trick to Trig’s good food: good fresh ingredients. Good bacon, smoked Gouda cheese (no skimping, either), real butter and sugar. “There isn’t anything in that gravy that isn’t digestible. Just some milk fat, sausage, and homemade gravy,” Trig says of his signature sausage gravy. 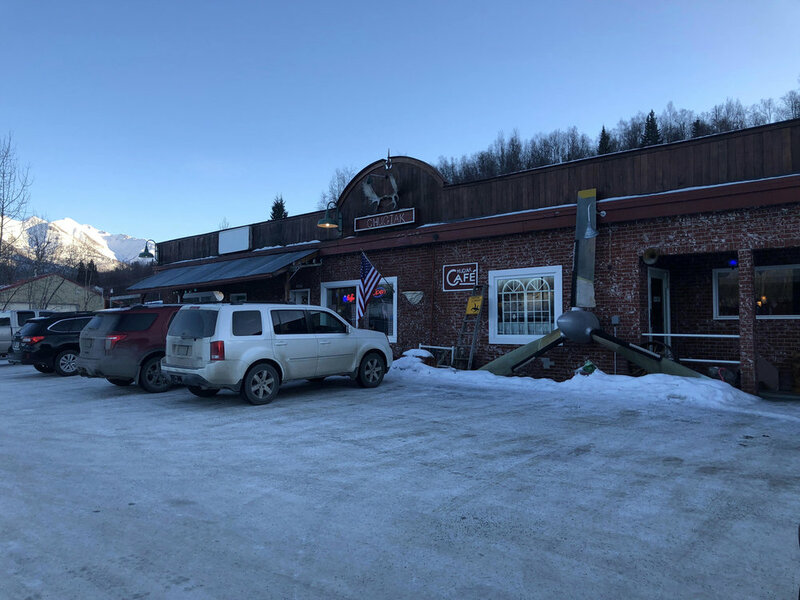 Chugiak Cafe may be a bit off the beaten path, but at less than 20 miles outside of Anchorage, in Eagle River, it makes for a great Saturday morning excursion. It’s on the way to Palmer, Wasilla or Willow. Think State Fair stop or Iditarod Re-Start stop. The drive is beautiful and our dog, Bella, loves to stick her head out of the window along the way. We've started making it part of our Saturday morning routine. We put it in the rotation of The Bake Shop in Girdwood and BB’s Coffee Shop (when we are in a hurry to go to Lowe’s or Home Depot or University Dog Park with Bella). No wonder my pants are getting too tight. But since Marc has declared “pants are overrated,” I think we’ll be back for Cinnamon Roll Sunday! Like this post? Sign up here to receive a weekly dose of adventure. *At this time, Literary Wanderings does not receive income from the mention of any products or services. 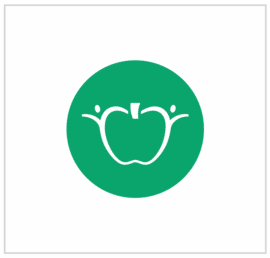 All products or services mentioned are strictly my own recommendations based on my own experiences and opinions in an effort to support teachers and business owners in their endeavors.